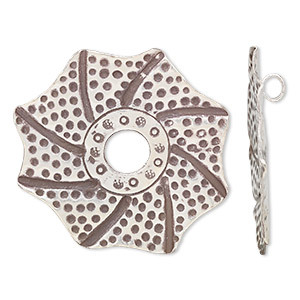 Bead, Hill Tribes, antiqued silver-plated copper, 12x12mm puffed flower. Sold per pkg of 4. Boasting six open stringing holes, handcrafted copper beads from the Hill Tribes artisans offer multi-stringing directions. 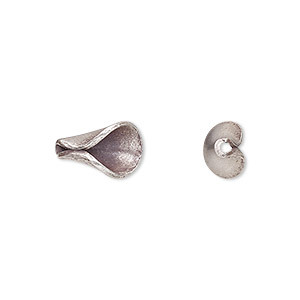 With heavy antiqued silver plating, the beads offers long-wearing style for quality designs. Sizes, shapes and colors may vary with handcrafted items. 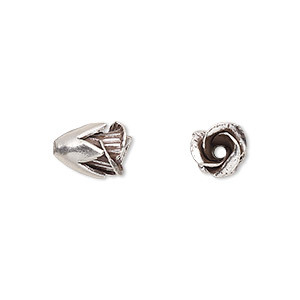 Bead, Hill Tribes, antique silver-plated copper, 12x12mm puffed flower. Sold individually. 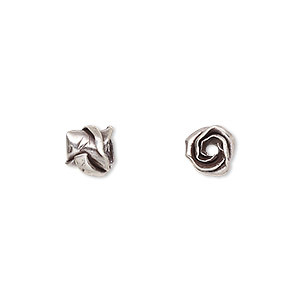 Bead, Hill Tribes, antiqued silver-plated copper, 12x12mm double-sided puffed flower with swirl design. Sold per pkg of 4. 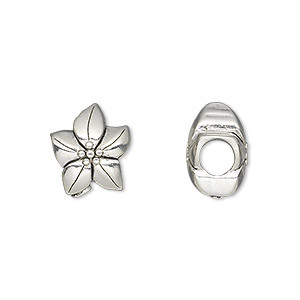 Bead, Hill Tribes, antiqued fine silver, 12x6mm flower. Sold individually. Bead, Hill Tribes, antiqued fine silver, 12x9mm flower petal. Sold individually. Bead, Hill Tribes, antiqued fine silver, 7x6mm flower. Sold individually. Focal, Hill Tribes, antiqued fine silver, 53mm 8-pointed flower with dots. Sold individually. 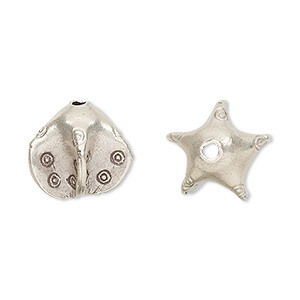 Bead, Hill Tribes, antiqued fine silver, 14x14mm star. Sold individually. 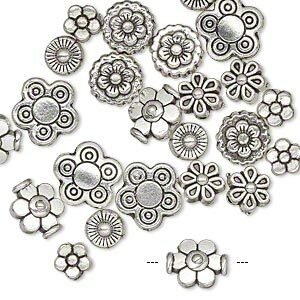 Bead, antique silver-plated "pewter" (zinc-based alloy), 5x5mm-10x10mm assorted flower. Sold per pkg of 24. 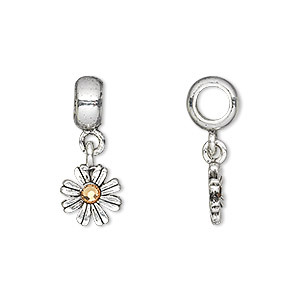 Bead, Dione®, Swarovski® crystals and antique silver-plated pewter (tin-based alloy), light Colorado topaz, 23x10mm overall, 10mm single-sided flower dangle, 5mm hole. Sold individually. 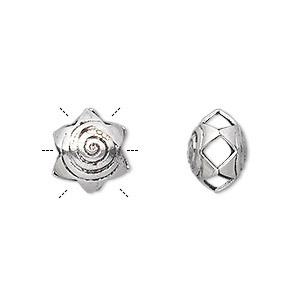 Bead, antique silver-plated pewter (tin-based alloy), 13.5x11.5mm double-sided flower, 5mm hole. Sold individually.